In the 2018 Decanter World Wine Awards, the world’s largest and most influential wine competition, ten Croatian wines received gold medals. Two of these wines are from Dalmatia and Testament’s two winemakers, Juraj Sladic and Igor Radovanovic, are the winemakers behind these award-winning wines. It is an exceptionally important validation of the development of the Dalmatian wine industry set by the new winemaker generation, focused on indigenous varieties, modern approach and precise wine styles. “The Decanter Awards show that the Dalmatian wines are steadily growing in world recognition. It is extremely satisfying for Zhoda that the two Dalmatian gold medal wines were produced by two wine makers that now make Testament wines. We are very fortunate to have Juraj and Igor onboard to continually raise the standards of our wines to become Dalmatia’s finest. We are looking forward to medals being awarded to the Testament wines in future competitions. 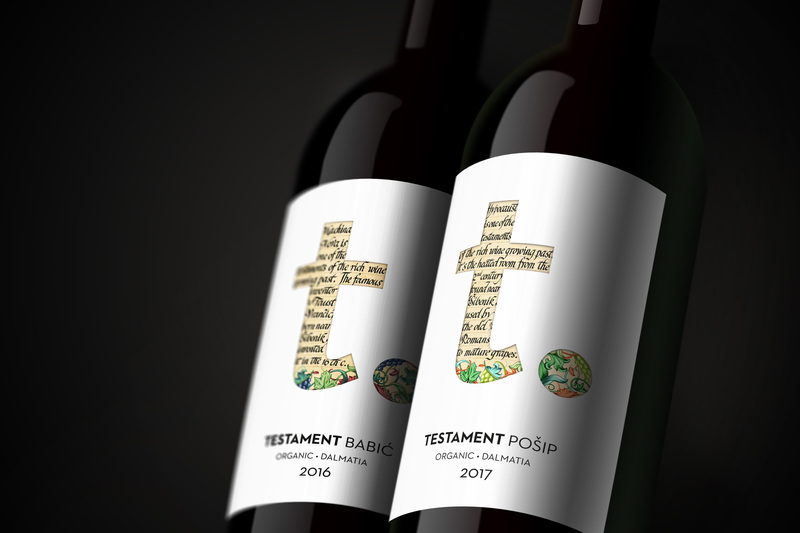 I recommend our shareholders and wine lovers to order the limited number of bottles of Testament Babic and Testament Posip now available at Systembolaget”, says Robert Karlsson, CEO of Zhoda Investments. More than 270 of the world’s top wine experts gathered in London earlier in May to start judging the 2018 Decanter World Wine Awards. Close to 17,000 wines were judged with ten Croatian wines winning gold medals, two of them from Dalmatia. Korlat Syrah 2014 is a red wine produced at Benkovac Winery within Badel 1862. It received a gold medal. Juraj Sladic, wine maker and head of Testament’s operations in Sibenik, was previously winemaker at Benkovac Winery with a 180-hectare vineyard and a production of over 500,000 bottles per year. Nerica 2016 Posip is a white wine from the Dalmatian island of Korcula. It received the second of the Dalmatian gold medals in this year’s Decanter Awards. Igor Radovanovic, wine maker and head of Testament’s operations in Smokvica, is Dalmatia’s leading maker of Posip wines and also the enologist behind this award-winner. This is the first gold medal not only for the island of Korcula and a Posip wine, but also for a white indigenous variety. Zhoda Investments recently acquired the Smokvica winery on Korcula to make elegant and fresh white wines from the Posip grape. It was discovered by chance by a farmer on the island almost 150 years ago, and has since then become the most popular white grape in Dalmatia. The wineries in Dalmatia owned by Zhoda Investments market their organic wines under the Testament brand. A Testament to the rich wine growing past – combining Dalmatia’s two thousand year old winemaking tradition with the most talented new generation winemakers. Learn more about Testament Winery and its organic wines on Facebook and Instagram. Search for testamentwinery. Visit our website www.testament-winery.com to read more about Dalmatia’s two thousand year old wine history and the Testament wines. Testament Winery is located on a hill sloping down towards the Adriatic Sea outside the city of Sibenik, approximately 50 kilometers up along the coast from Split. Our winemaker Juraj Sladic is looking forward to presenting the vineyard and the wines to our shareholders. Zhoda Investments invests in selected unlisted European ventures and drives growth and profitability through active ownership and an entrepreneurial approach. Zhoda owns an organic winery in Dalmatia with a 47-hectare state of the art vineyard producing red wine from the local Babic grape. Zhoda has also acquired a winery on the Dalmatian island of Korcula that produces white premium wines from the indigenous Posip grape. The group also holds a 45 per cent interest in the Lelyaki oil field in Ukraine with 2P proven and probable oil reserves of 8 million barrels net to the company. Zhoda Investments is actively pursuing new investments. The company’s shares are traded on Pareto Securities OTC. For more information, visit www.zhodainvestments.com.